Congress OKs the $4.2 billion bill after critics facing a politically difficult vote agree to a compromise. 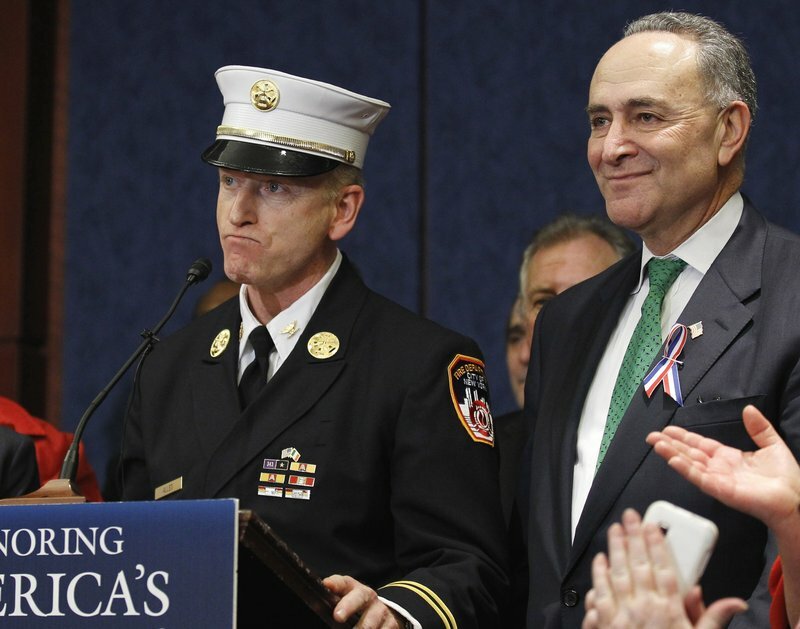 WASHINGTON – After a last-minute compromise, Congress passed legislation Wednesday to provide up to $4.2 billion in new aid to survivors of the September 2001 terrorism attack on the World Trade Center and responders who became ill from working in its ruins. The House passed the bill on a 206-60 vote Wednesday about two hours after the Senate cleared it on a voice vote as lawmakers raced to wrap up their work before Christmas. President Obama has said he is eager to sign the measure. The package provides $1.5 billion to monitor the health of rescue and cleanup workers and treat illnesses related to ground zero. It also reopens a victims compensation fund with $2.7 billion. Maine’s representatives in the House, Democrats Chellie Pingree and Michael Michaud, voted in favor of the legislation. “The Christmas miracle we’ve been looking for has arrived,” Schumer and Gillibrand said in a joint statement. They had sought $6.2 billion and to keep the compensation fund open for 10 years. In a prepared statement, Maine Sen. Susan Collins said that “I believe that we have a moral obligation to provide care for the first responders who have become ill as a result of their heroic work. … I encouraged negotiators from both parties to come to an agreement on a carefully targeted bill to accomplish this goal. The compromise was reached after Democrats scheduled a showdown test vote for Wednesday and Republicans countered by threatening to run a 30-hour clock before allowing final Senate and House votes on the bill. That would have required keeping both bodies in session for votes on Christmas Eve.